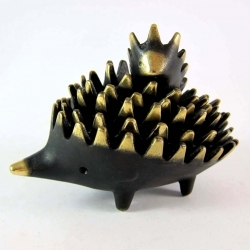 Walter Bosse collectible bronzes from the 40s - 60s. 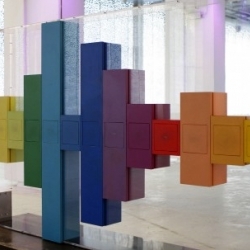 Art collectors who travel from New York to the Art Basel fair in Basel, Switzerland, this month will be greeted by a familiar but delightful sight. 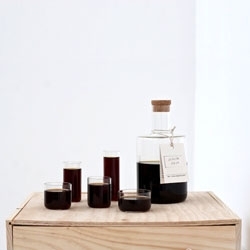 Åsa Jungnelius makes her first appearance as a Kosta Boda designer. Her Jackie collection combines artistry with an appealing sense of the decadent. 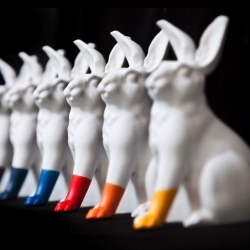 Luck Bunnies by Scott Patt (of Converse fame). For his upcoming solo show at Portland's very own Grass Hut. Fresh from The Given. New animal collage series from The Given Collective. 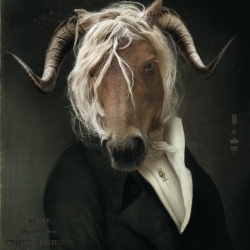 Les Dandys series from Ibride design studio (Rachel and Benoit Convers) in collaboration with Carine Jannin. Hidden beneath the portraits are small shelves. 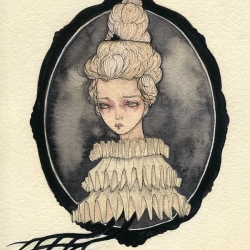 Stunning Illustration "Marie Antoinette" by CLAU CLAU. 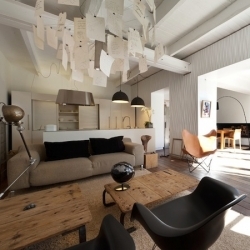 'House in Prado' in Marseille - France by Maurice Padovani interior designer. 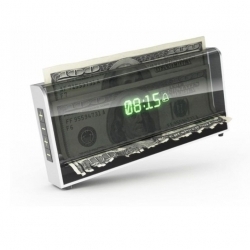 The meanest alarm clock ever shreds your money while it waits for you to get out of bed. 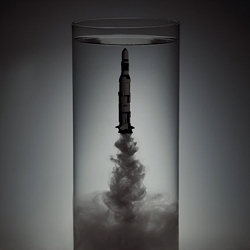 Owen Silverwood's 'Inner space' is a series of photographs depicting NASA hardware in confined environments. 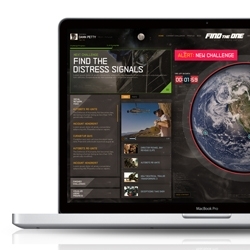 Web entrepreneur Dann Petty creates the ultimate sci-fi user interface for Transformers 3. Enjoy the best of British spring wildlife wherever you are with BBC springwatch webcams, available internationally for the first time! 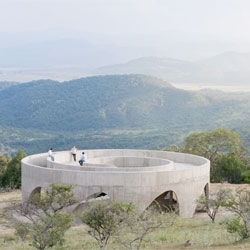 Lookout Point by Swiss architects HHF, the first of eight structures to be completed for the Mexican pilgrimage la Ruta del Peregrino. VIDEOTime-lapse: Architecture students from Chalmers U. in Gothenburg build a giant cocoon from seven kilometers of plastic film roll as a part of their 'Who is the architect' spring exhibition 2011. Math + Lasers! Nervous System tests out their new laser cutter to produce an incredible faceted plywood display for their products. 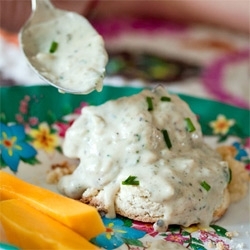 The Kitchn's Breakfast with a Blogger with NOTCOT/Tasteologie! Leela tries out our favorite veggie sausage and gravy recipe! A delicious (healthier) take on our comfort food favorite. 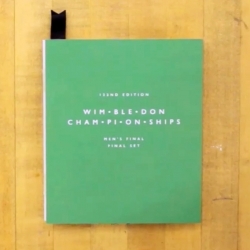 VIDEOStudent Project: An experimental map of the 122nd Wimbledon Final Set. Instructor: Andrew Byrom. Turn your speakers on and enjoy the video! 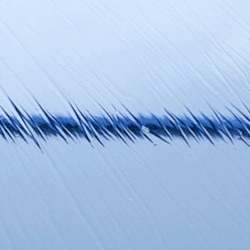 VIDEOThe Arctic Light, another great film from Terje Sørgjerd. 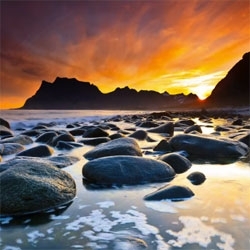 Filmed between 29th April and 10th May 2011 in the Arctic, on the archipelago Lofoten in Norway. 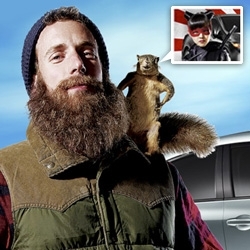 VIDEORenault - The Electric Life. 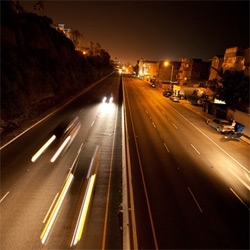 Publicis Conseil created this new global campaign to highlight the efficiency of electric power in our everyday lives. Ad by Dougal Wilson. 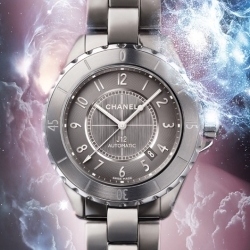 Discover the brand new Chanel J12 Chromatic in titanium ceramic, with an amazing video promo. 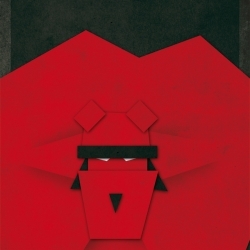 Paper cut super heroes by Grégoire Guillemin. 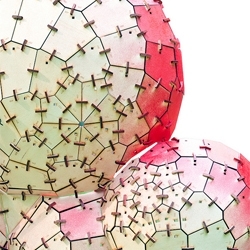 Stretch Eames by Et Al., Etc. 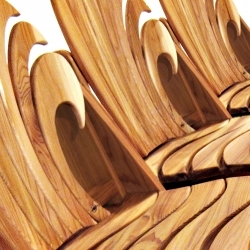 An Eames bench in 3, 4, 5, 6, and so on and so forth. 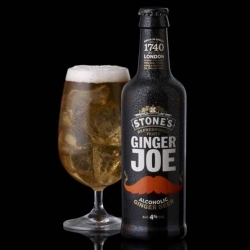 Nice moustachioed branding for Ginger Joe's Ginger Beer. 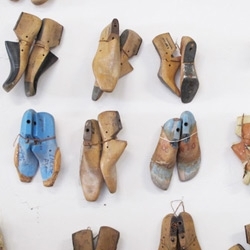 Shoemaking is increasingly a rare Australian craft, but Melbourne shoemakers Preston Zly are keeping the practice very much alive. 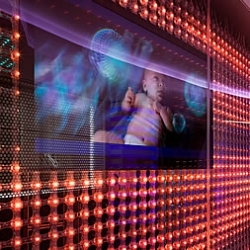 IBM Executive Briefing Center - Rome, Italy. 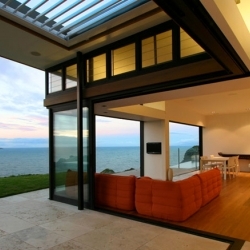 Designed by Iosa Ghini Architects Associated. 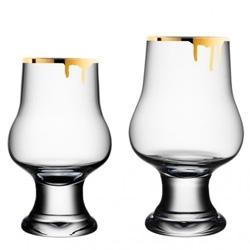 Take a look at this beautifully formed decanter and set of glasses by London based designer Tomás Alonso. 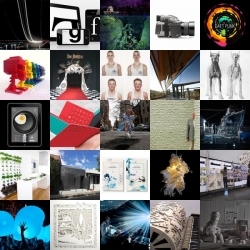 A roundup of design inspiration from here at NOTCOT.org that takes you down the rabbit hole, through beautiful soundscapes and beyond. FEATUREDDelirious impressionist imagery stuck in my head ~ from 48 hours out to sea spent nearly horizontal... a first look from Mercedes-Benz/Mike Horn PANGAEA Sailing Adventures LA-SF. 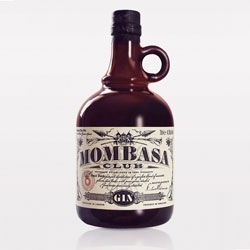 Classic ornamented bottle design for Mombasa Club Gin by Luis Vázquez from Typesense. 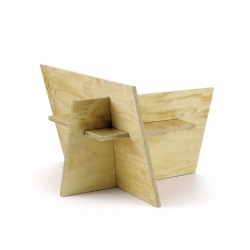 Chair 1.3 by Michael Turner - The Turner Collective. 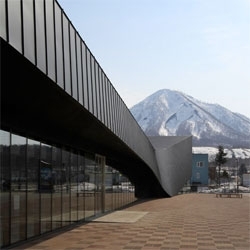 GR230, a service station along Route 230 in northern Japan, by Code architects. 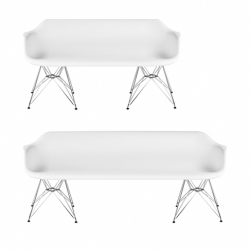 'Baud' organic bench and table by Vito Selma. 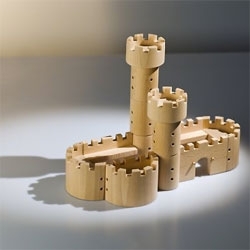 Castle beech wood playset from Brno. 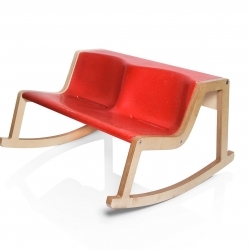 Rocker Bench Mustafa, a collaboration between Helmut Morrison, Loitfelder & Weikamp and Klaus Fuchsenberger. 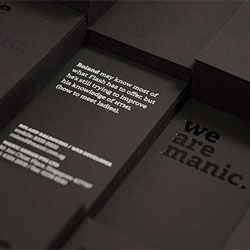 Namecards by Manic Design. Hotstamped and silkscreened on a smooth, heavy, black cardstock. 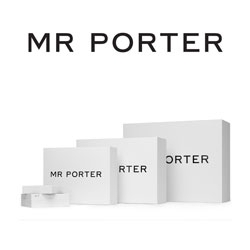 Saturday London's minimalist packaging for Mr Porter. 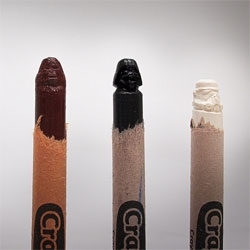 Steve Thompson's Crayola Force, Star Wars characters carved from crayons. 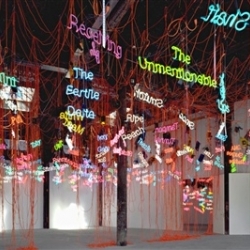 Lisa Corbett explores the spirit world that co-exists with our world, in her Summer-Land series. 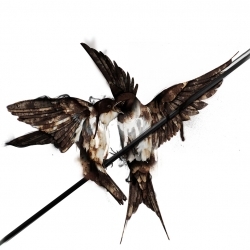 Believer or not; her drawings in ink, watercolor and gouache on paper, are beautiful! VIDEOThe boys with beards get dirty! 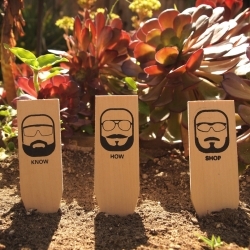 Highland Park's own Knowhow Shop LA hosted a garden theme art and design show as part of NELA Open Gallery Night. Opening night video! by Dru Korab. 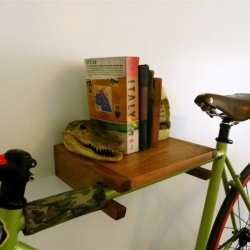 Urban City Bike Shelves, the perfect accessory for your home. All bike shelves handmade from either Cherry Wood or Walnut and finished with a natural wax. Can be customized to fit. 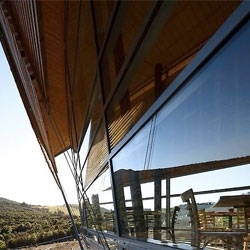 Korora House sits on a remote ridge between the Hauraki Gulf and the breathtaking landscape of Waiheke island. 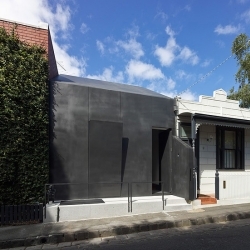 By Daniel Marshall Architects. 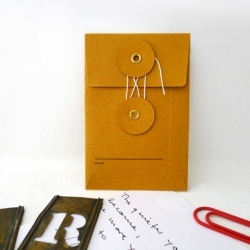 Jeff Rubio's clutch clip wins the 7th Annual Umbra x Pratt Design Competition. Flora and Fauna preserved. 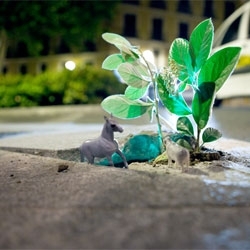 Micro-ecosystems by Luzin hit the streets of Barcelona. 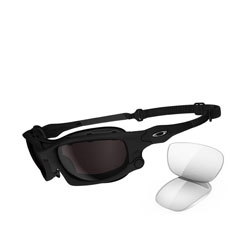 Oakley Wind Jacket with snap=in gaskets and a protective seal for traveling at high speeds. Clever posters by Rethink to raise awareness for NoTankers.ca - the posters bleed onto everything else as it rains. 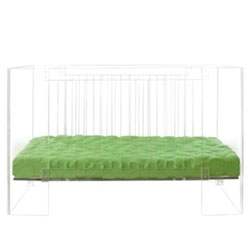 The Hollis crib from Nursery Works made from non-toxic and recyclable lucite. 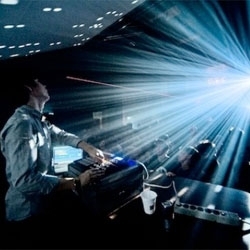 Akko Goldenbeld makes music from the cityscape of the city of Eindhoven. A new design of Adirondack. 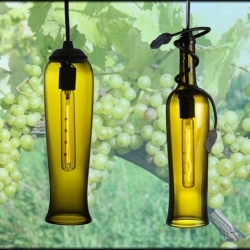 Hand made, folding, light weight, stackable, and beautiful by Cedar Crossing. It's just been announced that two great projects conceived by students of Scuola Politecnica di Design Milan have been shortlisted for the Targa Giovani, the collateral event of the XXII Compasso d’Oro ADI. 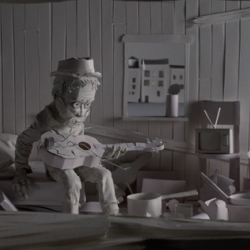 Stop-motion music video for Amos Lee that is made almost entirely out of white paper. 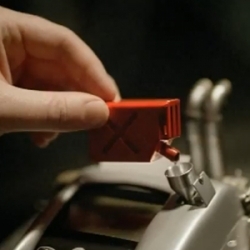 Directed by NYC-based stop-motion studio //kneeon. 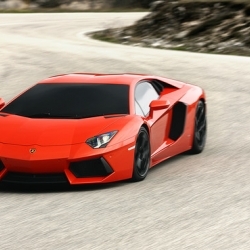 Lamborghini Aventador LP700-4, the new halo car of Lamborghini, still lustworthy. 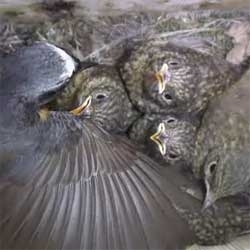 Slideshow and video in the weekend wallstreet journal. 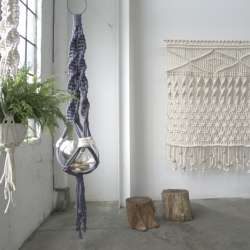 Brand new large-scale macramé work by Portland based artist/designer Sally England. VIDEOBrazil­ian adver­tis­ing agency DCS cre­ated an inter­ac­tive iPad ad that allows the user to expe­ri­ence how easy it is to cook with Tra­mon­tina Starflon Pan (non stick). 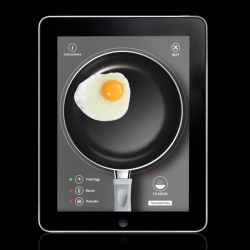 With this ad, the user can move the iPad, simulating actual cooking. 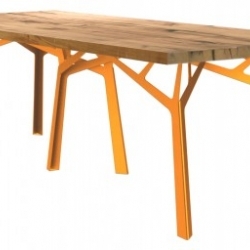 German designers KFF have recently launched this new dining table called 'Foerster' which combines recycled oak beams with a striking metal frame. 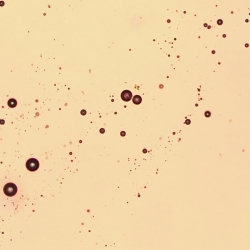 Phoenix based artist, William LeGoullon, photographs the five most commonly consumed beverages, other than water, using a microscope. 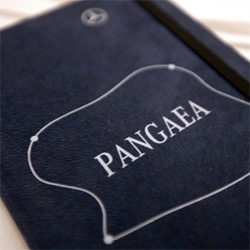 FEATUREDThere's something mesmerizing about the tactile nature of this notebook from Mercedes for our Mike Horn Pangaea adventure... also if i go too quiet, go look for this boat! 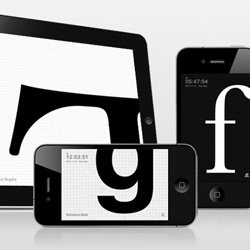 The TypeClock app by Dong Yoon Park is perfect for type lovers! 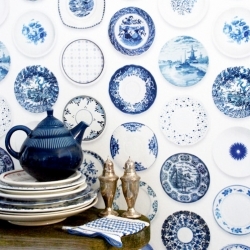 This porcelain wallpaper designed by Studio Ditte was totally inspired by blue tableware. Very delicate! 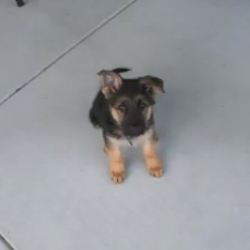 A cute time lapse following the first year of Dunder’s life. 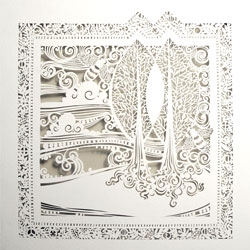 Intricate paperwork from white papers press (Sara Burgess). 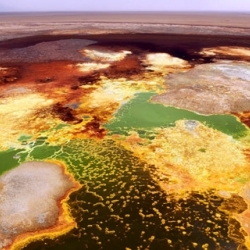 Cameron Davidson's photographs from a helicopter safari to the hottest place on earth, in Ethiopia, for Departures magazine. 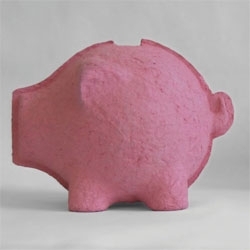 Kiri Martin's Bergdorf, a piggy bank made of paper pulp to teach kids to save. 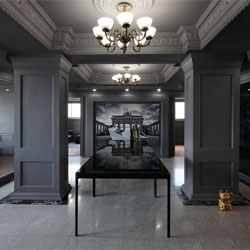 Coordination Asia's Shanghai Office n the former headquarters of the Shanghai Glass Company. 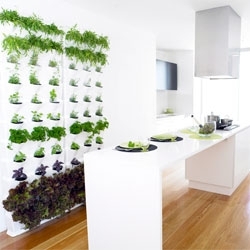 Minigarden, a contemporary, modular vertical gardening system. Beautiful performances from Nosaj Thing are about the stunning visuals as much as the music. 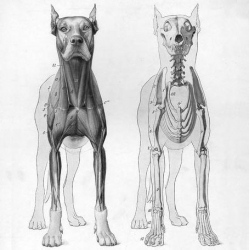 A tumblr dedicated to scientific illustration. 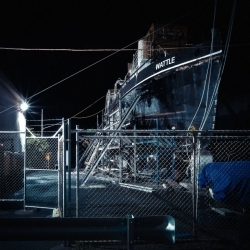 Melbourne 'Docklands – f18' by photographer Tomek Celarek. 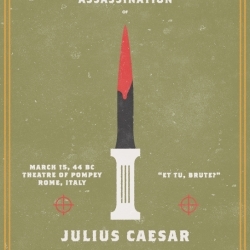 You are cordially invited to some of history's most iconic assassinations, thanks to Evan Stremke. FEATUREDHow will you be spending this long weekend? Plan your next getaway with some inspiration from NotVentures. Why not discover a lake fully of jellyfish, secret surf spots or wine country? 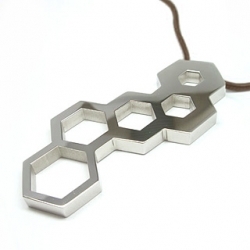 A pendant that doubles as a hex wrench for 8, 10, 12 and 14mm bolts. 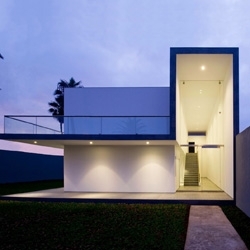 Designed by Javier Artadi, this house is located in Le Encantada, a suburb on the Lima shoreline. 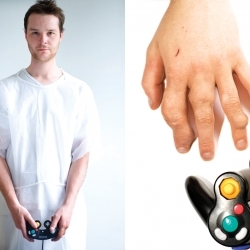 Game Arthritis, by Matteo Bittanti+Iocose is a pseudo-scientific, systematic study of gaming afflictions, inspired by ’80s and ’90s anti new tech propaganda. 'What if' these were real? 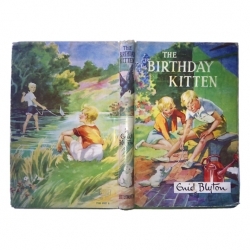 Collection of book covers and excerpts from the 'golden era' of children's book publishing. 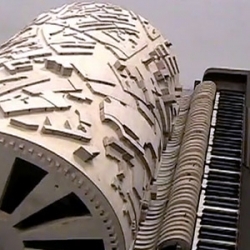 Omelette is a supermarket display for eggs made from alderwood on a CNC milling machine. 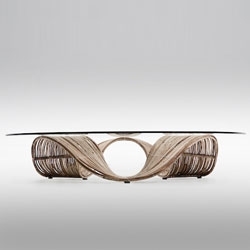 By Ukrainian designer Andrey Bondarenko. 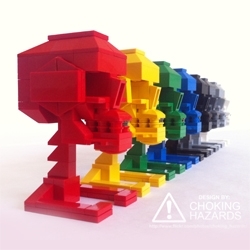 Lego Skulls & Skeletons by Choking Hazards with instructions to build your own! A look inside the home of Bruno Mendes and Amy Muir, who make up Melbourne based architecture firm Muir Mendes. 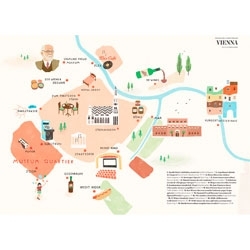 City map illustrations by Owen Gatley for Ling Magazine. 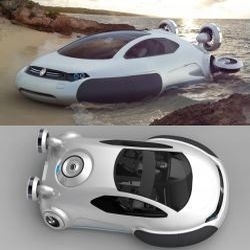 VW Aqua forgoes routine tracks to hover above the terrain and can easily maneuver on lakes, rivers and coastal waters, to the roads, wetlands and snow and ice alike. Concept by Yuhan Zhang. 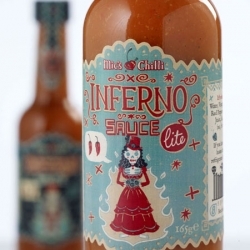 Great Día de los Muertos style packaging for Mic's Chilli sauce by Steve Simpson. Looks fiery!!! 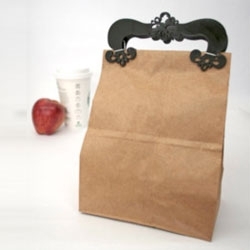 Kraft envelopes come in three shape and size variations, available in either orange or brown paper. By Midori. 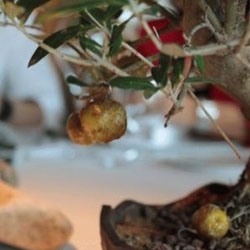 Caramelized Olives served on bonsai trees and 13 more culinary and visual delights at the El Celler de Can Roca, the world's 2nd best restaurant in the world in 2011. 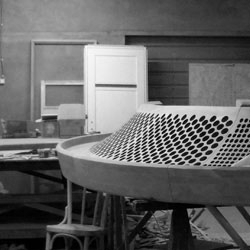 The opening of the completely renovated Maritime Museum conceived by DOK Architects is planned for the end of September 2011. 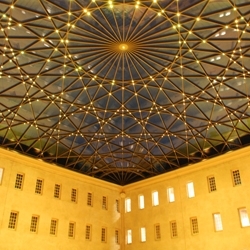 The recently delivered glazed roof was designed by the Brussels office of Ney & Partners. 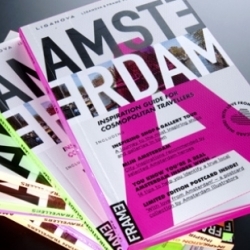 Frame Magazine in collaboration with German fashion house Liganova has released a new city guide for one of the most inspiring cities in Europe. 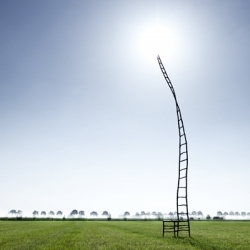 The Empty Chair by Maarten Baas, realized for Amnesty International, in honor of Liu Xiaobo, the Chinese intellectual and dissident awarded with the Nobel Peace Prize in 2010. 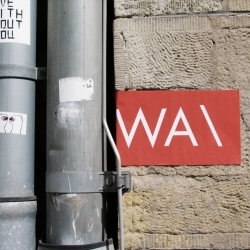 VIDEOA stop motion video made by TBWA that shows a sticker going around Berlin. 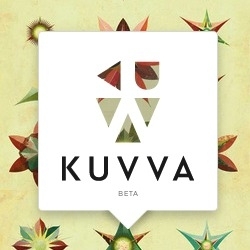 Kuvva tailors your digital life with visual awesomeness! 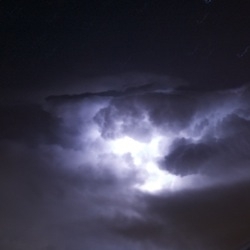 Each week a new curator will source the best imagery to style your Twitter profile. 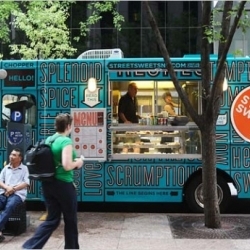 Seven awesome food trucks -- ranging from one selling empanadas to two vegan upstarts -- currently looking for funding through crowdsource platform Kickstarter. Luft und Liebe /// T-shirt & necklace. Two old friends get together. 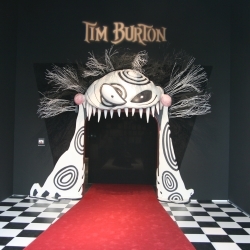 Step into the Los Angeles County of Museum of Art (LACMA) starting May 29th and get ready to see over 700 creative works from the one and only Tim Burton. 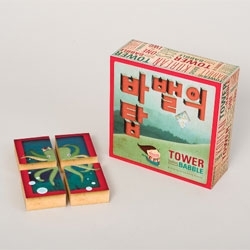 Tower of Babble, a building block game project by Monica O.
Orokonui Ecosanctuary building in New Zealand by Architectural Ecology. 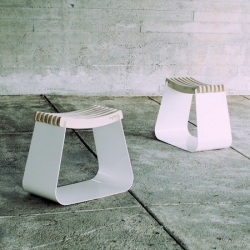 'Henri' by French designer Alexandre Reigner is stool made of wood and aluminium. Inspired by scandinavian and japanese styles. 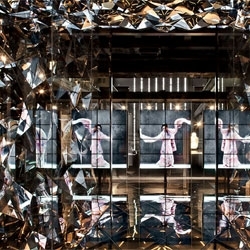 The newly opened Shanghai Museum of Glass. FEATUREDMontage Laguna Beach Chefside Studio Dinner with a gorgeous view of... the kitchen! 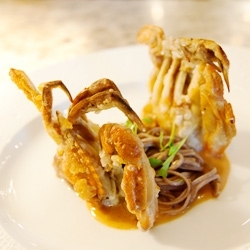 Soft shell crab with soba noodles, black truffle stuffed brie, Hudson Valley duck breast with bing cherries, and a fantastic blackberry tart! 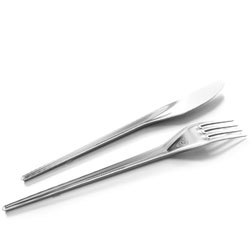 New money silverware by Kallbrand (by Tomas Ekström) are metal version of iconic plastic cutlery. 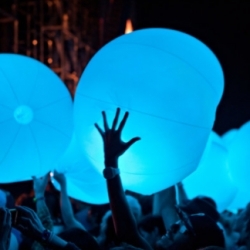 Arcade Fire teamed up with Chris Milk for their interactive stage collaboration performance at Coachella, which included hundreds of LED balls, each one being embedded with IR Transmitters.